Do you have a passion for all things pop culture and books? 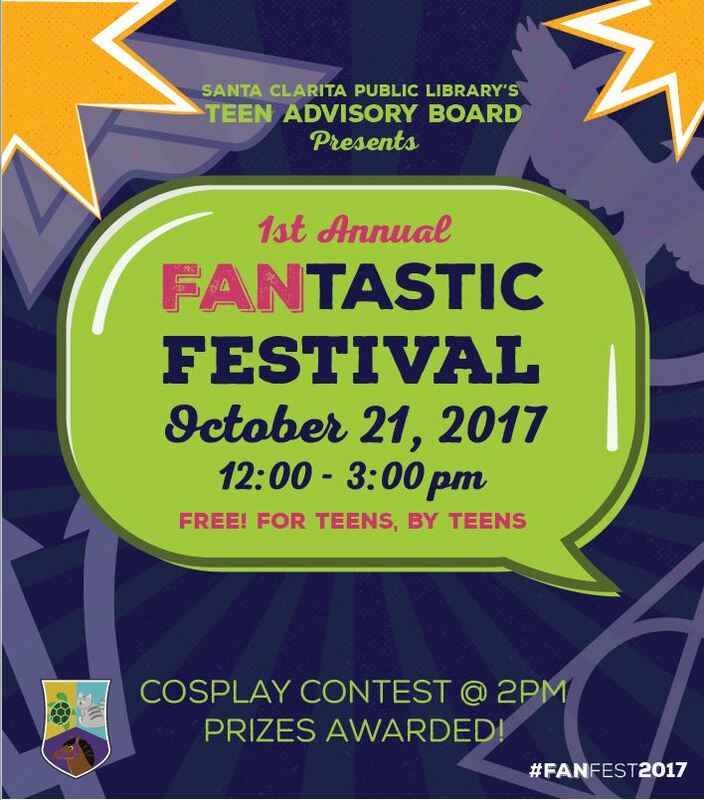 Whether you’re into Sherlock, Harry Potter, Doctor Who, Pokémon, Star Trek or something else join us for the 1st Annual FANtastic Festival hosted by the Santa Clarita Public Library’s Teen Advisory Board. Geek out with fellow fangirls & boys – explore hands-on stations, play games, craft and more! FREE and fun for teens & tweens in 7th-12th grade! #FANfest, Cosplay Contest, Crafts, fandoms, Teen Advisory Board, Teen Programs. Bookmark.